We love kids, and we love seeing kids’ smiles! Dental care for kids is a big part of what we do for families and around Shorewood, IL. We have designed our office to be a place where you can find the best dentist for the entire family by making everyone feel comfortable. As a parent, you want your kids to have the healthiest mouths that they can. We share that goal, and we are happy to support your efforts to keep your children free of tooth decay and gum disease. We’d also love to meet your loved ones. If you are looking for a dental practice that is prepared to treat every member of your family, then you have been looking for Shorewood Family Dental Care. You and your kids deserve to visit a family dentist office where people care for you and make your comfort a priority. That’s what you’ll find here. If you’re looking for a family dentist near Joliet Illinois – call 815-725-5991 to learn more about us or to schedule an appointment. Our patients’ needs are more important than our own. If we are going to call ourselves a family practice, we need to be available when it is convenient for you. We know that many patients don’t want to take time off work or take their kids out of school for routine dental cleanings and exams. That’s why our hours are made to fit your life. Our office is open until 8 p.m. every Monday through Thursday, so you can visit us on a night when you aren’t shuttling your kids to baseball, softball, or some other practice. We are also open every Saturday from 8 a.m. to 2 p.m. so you don’t have to use vacation time to bring your family in for a checkup. A lot of our older patients have told us how bad experiences as children caused them to feel dental anxiety well into adulthood. We know that making dental care as comfortable and relaxing as possible can help kids continue making oral health a habit as they get older. We also know that many children may feel nervous about coming to the dentist. Our compassionate team members have a number of comfort options to help you and your kids feel better about sitting in a dental chair. This starts with our Tell-Show-Do approach. Before we perform any procedure, we explain what will happen. We demonstrate to our patients what is involved, and then we complete that action. Children (and many adults) find dental care easier when they understand what is going on. You and your kids are welcome to ask questions before, during, or after your treatment, too. Anytime you are not clear about what’s happening, just let us know. We’ll be happy to address your concerns. 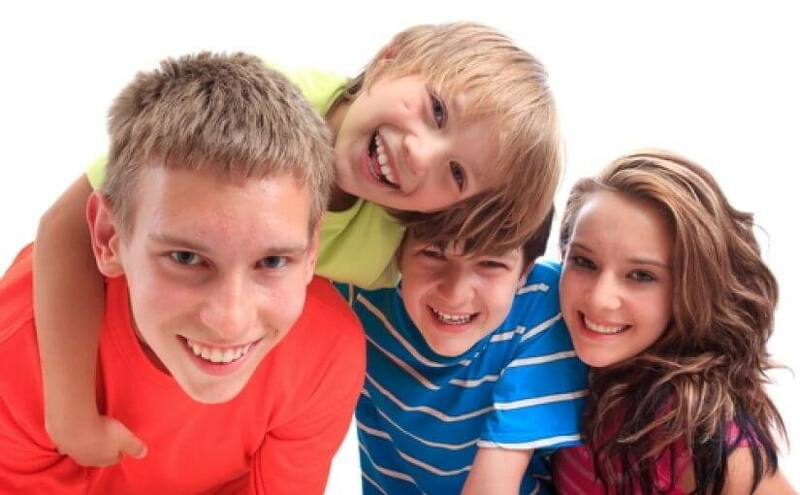 We do have sedation options if needed to help your children get through a dental procedure. Although we have found that as our patients (of all ages) get to know us, they are less likely to need or want sedation to get through an appointment. For many of our long-term patients, having a pillow or blanket or something to watch on our in-room televisions as a distraction makes their routine care much easier to handle. Look no further for the best dentist for the family as everyone here at Shorewood Family Dental Care would love to get to know you and your kids. But the only way to do that is for you to pay us a visit. To schedule your first appointment with us, call 815-725-5991 or fill out our online form today!